Data backup is an integral part of a disaster recovery plan. In the event of an emergency such as hardwarefailure or physical building damage, businesses are able to pick up where they left off by accessing their files and applications through data backup and continuity solutions. Prior to the introduction of cloud computing businesses had only a few options for backing up their data. Tape Storage Systems - used magnetic tapes for backing up system data. Often the backups needed to be done manually and new tapes purchased as company data expanded. External Hard Drives - businesses would use external hard drives to back up server data. As a hard drive filled up, they would use another which required new purchases of hardware at regular intervals. Back Up Servers - provided businesses with automated backup solutions. However these require on-site monitoring and maintenance and often multiple physical servers for redundancy. 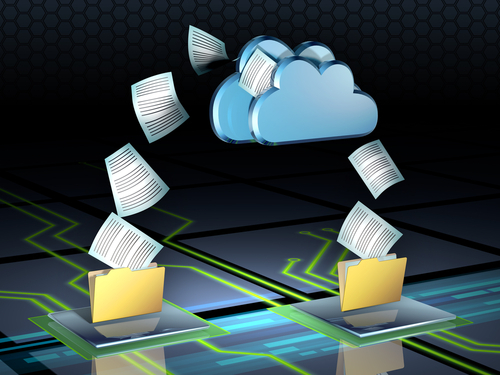 Virtualization and cloud computing has revolutionized the way businesses backup and restore their data. Instead of having to invest in additional hardware and reserve internal resources specifically for backup, the cloud provides businesses of all sizes with scalable storage replete with redundancy. Backup data can be stored off-site in the cloud, protecting mission critical information from a physical hardware failure, power failure, or damage due to a natural disaster. However it is important to note that the cloud isn’t a company’s golden ticket to disaster recovery. There are still plans that need to be implemented, steps that need to be taken, and decisions that need to be made to ensure that cloud data is protected and available at all times, for quick restoration in the event of a disaster in-house or in the cloud. Here are just a few ways businesses can ensure that their data is protected. A hybrid cloud set up is one way businesses can protect their data both in-house and in the cloud. The IT department can set up multiple virtual servers on a single physical server and then replicate those servers to the cloud. With this setup, if one virtual server fails, the others are still functional which maintain business continuity. If the entire physical server fails, then data can be retrieved from the cloud until the physical server can be repaired or replaced. For companies utilize cloud applications such as Office 365 or Google Apps for Work, a cloud backup service can seamlessly backup and maintain cloud data. Services such as Backupify allow businesses to protect and control their cloud data from popular cloud platforms such as Google Apps, Microsoft Office 365, or even CRM systems like Salesforce. Even though the majority of cloud providers guarantee 99.9% uptime, Backupify is a failsafe should the cloud provider experience an outage or something should happen such as a virus or ransomware locking out access to cloud data. Infrastructure as a Service (IaaS) providers such as Microsoft Azure have disaster recovery options built-in using Azure’s Site Recovery. Site Recovery gives customers the ability to replicate and recover their virtual machines to Microsoft Azure. Using IaaS providers such as AWS and Azure also gives customers the ability to minimize their exposure to regional outages by taking advantage of the provider’s global footprint. It’s important to make sure you define your recovery point and recovery time objectives with your IT staff or outsourced provider to make sure they align with your business requirements. There is a difference between implementing business continuity and data backup solutions. Unsure of what solution is right for your business? Contact Privo IT to speak with one of our IT consultants about different options for data backup and continuity as part of your disaster recovery solution.